YT Expo - gorgeous pattern to create original promotional sites developed by the popular German studio YooTheme. The template provides several original color schemes containing pleasant shades that are easily configured through the admin interface. 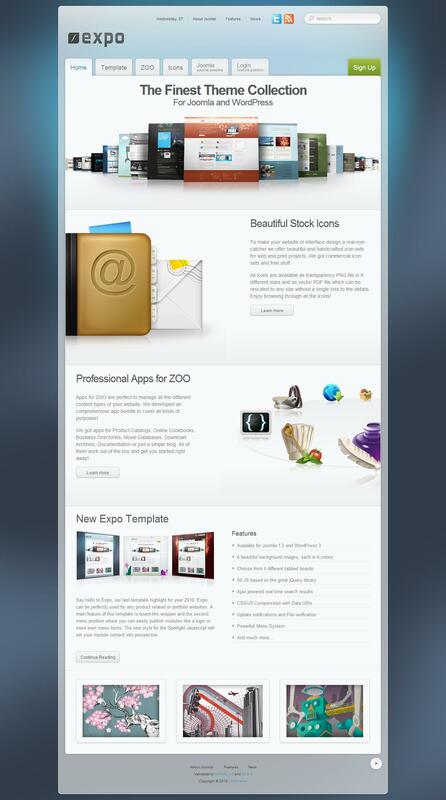 As with previous studio, this template is designed on the platform Warp, which has some functionality. This template supports mobile and tablet devices, perfectly optimized for search engines and is fully compatible with different versions of browsers. YT Expo - the perfect choice for designing websites that meet all modern requirements.